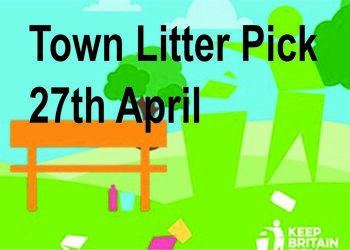 Come and get involved in a local litter pick and support your town. We plan to litter pick from the Bunn leisure site across to Pagham with transport being provided to take groups to various sites across our area; old or young come and get involved! Refreshments will be availalbe at the base at East Beach. Meet the team at East Beach at 10am, all equipment will be provided and we plan to finish by 1pm latest. Bring the whole family. For more information contact Sue at Selsey Town Council (01243 605803) or Neil Hill, Community Warden or the Selsey & District Lions Club.